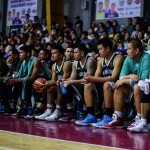 Maharlika Pilipinas Basketball League (MPBL) Datu Cup match between the Muntinlupa Cagers and the Batangas Athletics Tanduay at the Lagao Gymnasium in General Santos City, South Cotabato. Maharlika Pilipinas Basketball League (MPBL) Datu Cup match between Basilan Steel and the Muntinlupa Cagers- Angelis Resort at the Bulacan Capitol Gym, Malolos City, Bulacan. 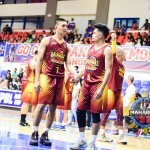 Maharlika Pilipinas Basketball League (MPBL) Datu Cup match between the Parañaque Patriots F2 Logistics and the Muntinlupa Cagers Angelis Resort at Imus Sports Complex. 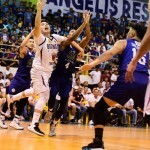 Maharlika Pilipinas Basketball League (MPBL) Datu Cup match between the Muntinlupa Cagers – Angelis Resort vs San Juan Knights – Go for Gold at the Muntinlupa Sports Complex, Muntinlupa City. 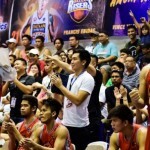 Maharlika Pilipinas Basketball League (MPBL) Datu Cup match between the Muntinlupa Cagers – Angelis Resort and the Rizal Crusaders at the Imus Sports Complex. 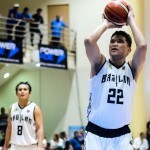 Maharlika Pilipinas Basketball League (MPBL) Datu Cup match between the Navotas Clutch and the Muntinlupa Cagers at the Navotas Sports Complex, Navotas City. Maharlika Pilipinas Basketball League Datu Cup match between the Muntinlupa Cagers and the Zamboanga Valientes at Marist School in Marikina City. Maharlika Pilipinas Basketball League Anta Rajah Cup Finals game 4 between the Batangas Athletics and the Muntinlupa Cagers at the Muntinlupa Sports Complex.